Android Device Manager App released ! 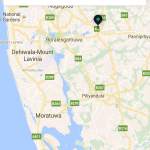 I know that Uber isn’t new anymore in Sri Lanka, but I went on my First Uber ride recently because I wanted to put together a Review about the service. Then, since I really enjoyed the service, I went on a few more rides, so now I have a very good understanding about the service. Before I start off my Review, If you’re new to what Uber is, then you should checkout the following video. Then you will get a better Idea about the other things I talk about in my review. 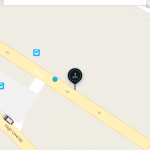 One of the key things that attracted me in to the Uber service is the luxury service that they offer. Even though their service is very nice, their prices aren’t that bad to be honest. The Uber Go option gives some good rates and for most cases, that’s what I used most of the time. Uber X is the more expensive option, it is good if you’re going someplace fancy, or if you have extra cash to spend. 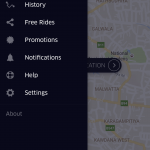 There are more luxury options in Uber in other countries, but currently in Sri Lanka we only get these 2 options, and I think it does the job. In the rides that I went in, the cars were very well maintained, and the drivers were very nice. That is always the key. I think the Uber team should keep up this standard no matter what. 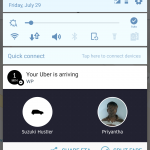 The Uber app was also very nicely built. It worked well and I enjoyed the experience from the time I launched it. They have apps for both Android, iOS and Windows as well. 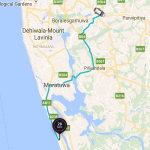 My first ever Uber ride was fascinating for me mainly because I couldn’t believe a service like Uber is really in Sri Lanka. We are one of the few countries to have the service and that’s awesome. One more interesting thing about Uber is the Coupons that we can earn to get free rides. 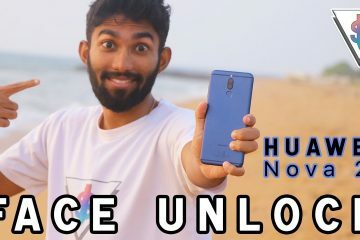 It is always rewarding to get something back, so this way we could just save a few bucks, and for most Sri Lankans that would be a big thing. This makes more people use the service often, and this keeps the service growing. Unlike TukTuks, this is a more luxury service and that’s why more people use it more and more everyday. After multiple Uber rides, the best ride I had was in a Suzuki Hustler. I’m not a petrol head but that car and that entire ride was awesome. 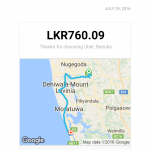 I got in from Maharagama, and got home (in Moratuwa) after a few stops, and the price was decent. What’s even more great is that you can use the service when you have no cash in your hand, so in an emergency this will be my go to option moving forward. It’s always fancy to get home in an Uber. The Uber app always keeps you informed about the progress and that’s quite helpful. They email you the receipt and the app keeps track of your rides. At the end of each ride you can review your rider as well. 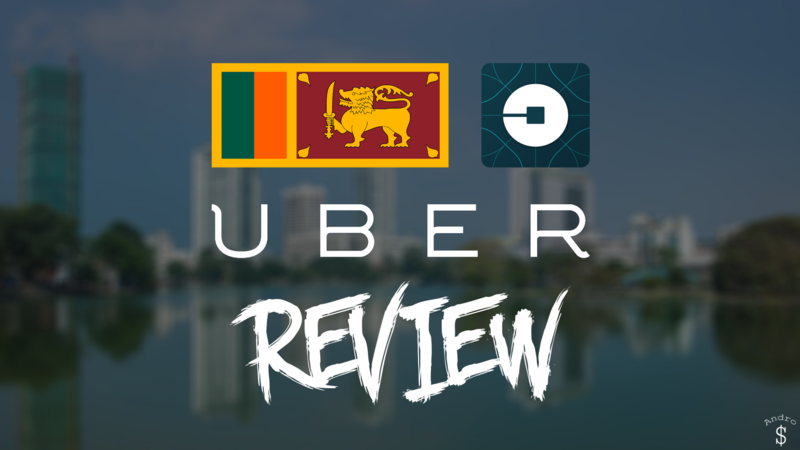 Currently Uber is trying some new things and they are trying to get more and more Sri Lankans in to the system, and that’s a good thing. We see more and more drivers everyday, and the service gets better as well. Hopefully this will be the case after a few years as well and hopefully they can expand this service Islandwide. 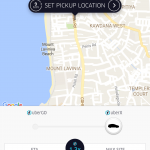 Click here to Checkout the Uber Website for more information about the service in Sri Lanka. Now, If you’re one of the people who haven’t joined Uber yet, then you should click here and join Uber if you wish by using my Coupon code “banukaa2ue”. Only requirement before joining is to have a Credit or Debit card which can be used for Online Payments. If you have any issues with the Uber service, feel free to drop an email to support@uber.com. If by any chance you’re a regular Uber user, or have used the service occasionally, then feel free to drop a comment with your experience with the service and how you think they can get better. Don’t forget to share this with your friends as well. 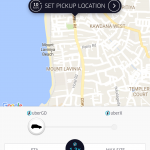 Uber gets the Andro Dollar Recommendation. 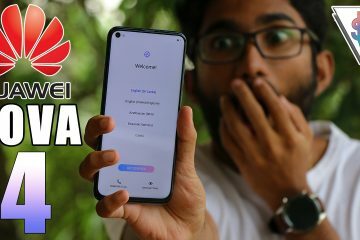 Stay tuned to Andro Dollar for the latest from the Tech world and checkout my Youtube Channel for awesome Reviews!